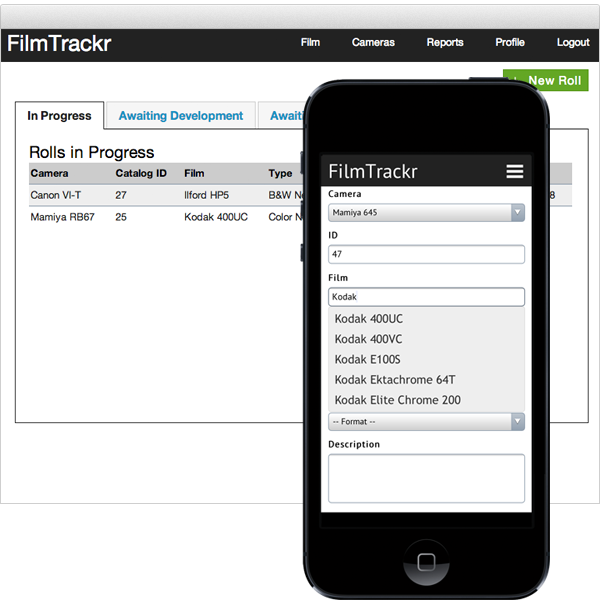 Always know what films are in your cameras and track the film as you develop and scan it. You can also track each individual film frame. The site works on both your desktop and your smartphone. 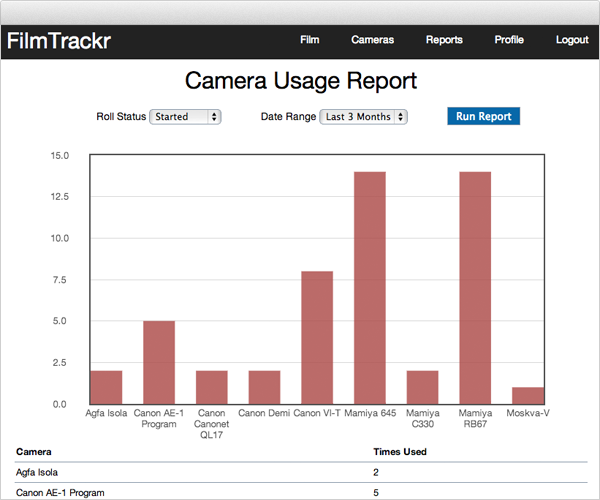 View your camera and film usage over time so you can see what you use the most.